Have you ever had a terrifying experience while working at an internship or had nightmarish virtual interns? Well, unless you’re a goblin or ghoul you’ll find these stories too scary to tell in the office! Our first terrible tale comes from reddit, have you ever hired on interns that had no idea what they were doing and caused nothing but more work for the others around them? One reddit user recounts the tale of one of his previous interns who lied on his resume to get the job. These are the kind of things employers need to look out for, lying goblins under a fairy’s mask! To make sure you are taking on the right people for the team be sure to click here and see what steps you should be taking in order to ensure you don’t let any ghastly ghouls sneak past you! You may want to gear yourself up with some E-M-F detectors for this next chilling tale that comes from a senior at Florida Atlantic University who was ghosted by their team leads! a senior at Florida Atlantic University. Making sure that your virtual interns are busy is extremely important! You want to make sure that they feel a part of the team, not just ignored by their leaders! Click here to learn more about how your leaders can keep things busy! 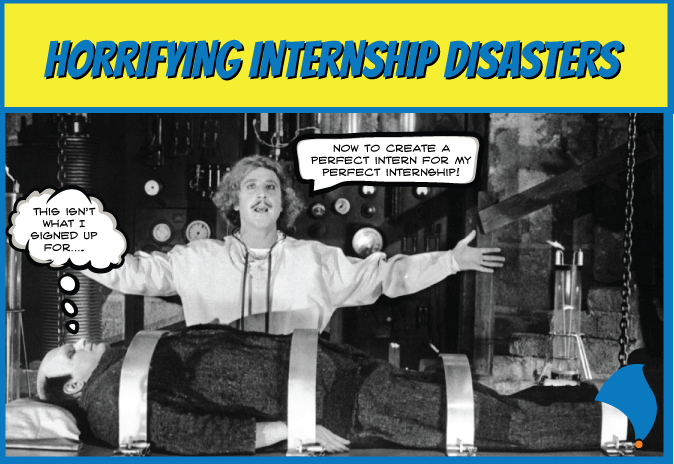 Now you have a better idea of the ghoulish things to look out for during your virtual internship program! With this information you should be able to keep the monsters at bay and have a smooth running program everyone is happy to say was frighteningly good!